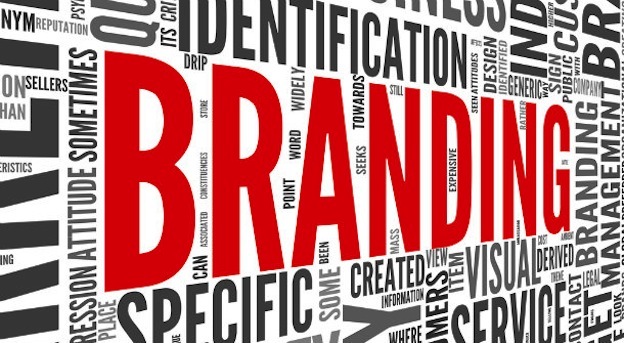 Many businesses fall into the trap of thinking that branding has to be a huge gesture, like a billboard, a knockout TV commercial or a well-attended live event, in order to work. And while branding is effectively promoted that way, very often it’s the small, intimate moments that matter the most when it comes to making an impact and reinforcing your brand promise. To make branding work for you, take advantage of the dozens of ways your customers interact with your brand. Use these little moments in your customers’ brand experience to communicate your brand message, form a bond with current clients and connect with potential new clients. Virgin America uses just about every opportunity it can to reinforce its unique brand positioning as a “breath of fresh airline,” from their humorous, animated safety videos to the calming violet-colored cabin lighting. During my five years with the company as vice president of brand for Virgin Management in North America, one of the touch points I remember that had the most impact was also one of the smallest items on the company’s airplanes: tiny salt and pepper shakers shaped like airplanes with feet. People were pocketing them and carrying them off the plane; they just couldn’t get enough of them. So the Virgin Atlantic team had the words “pinched from Virgin” printed on the bottom of the shakers. Now everywhere those salt and pepper shakers go, they bring to life the Virgin brand promise to make flying fun again. Think about the trivia tidbits on the inside of Snapple caps. Customers can’t wait for the newest message. They’ve become collectibles, and people trade them and post pictures of them on Pinterest. Who doesn’t appreciate seeing a big smile being delivered to their door? That kooky smile on every box that comes from Amazon makes every delivery that much better. The green polka dot bags of “practically new” clothing site ThredUp immediately put recipients into a fun, festive and stylish mood, well before the package is even opened. 1. Packing or packaging slips/invoices. These give you the opportunity to connect at an unexpected moment and reinforce your brand promise. Consider including some fun encapsulation of what your brand stands for, as Lululemon does by printing “Do one thing a day that scares you” on the yoga clothing company’s ubiquitous reusable shopping bags. If you don’t have a package to work with, consider adding a line or two of copy on a packaging slip or envelope liner. 2. Email signatures. With every email you send, you can bring your brand to life with a small twist to your signature. I love an email I saw from an employee at health-club chain Virgin Active South Africa who works in social media and includes his job title—Social Media Ninja—in his signature. 3. Wi-Fi password. Pret A Manger restaurant reinforces customers’ warm and satisfied experience every time they enter the Wi-Fi password “Toastie,” which is printed on receipts that are given with their orders. If customers are using Wi-Fi in your establishment, can you provide a password that also reinforces your brand message? These can be changed to reflect seasons or new product promotions. 4. Stickers/car decals. Why not include a decal or bumper sticker so your customers can show their pride and become brand ambassadors, as inspirational T-shirt company Cool Chicks does. Cool Chicks tees arrive packaged in egg cartons (tying them back to chicks) and include chick-embossed decals that are also available for purchase on the company’s site. If customers love your brand, give them an easy opportunity to spread the word. 5. Bills and receipts. Who says bills need to be boring? Express your brand with each transaction. Both paper and online email receipts offer a tiny moment that may be remembered long after a product’s been paid for. Why not say something original, funny or inspiring in the header or footer of your receipt? Or include a note of sincere thanks for your customers’ patronage and consider including a useful tidbit for your target. A monthly fitness center bill might be better received if it included some ideas about how to eat healthier or improve a workout. Think about the potential, mundane moments that could be twisted to surprise and delight your customers and create a stronger brand connection in the process. You don’t always need to spend big. Instead, spend smart by finding small branding moments that matter.